Baltic Amber is most commonly used today in the creation of beads, pendants and touchstones, but throughout human history has been considered both sacred medicine and physical representation of ancient life. 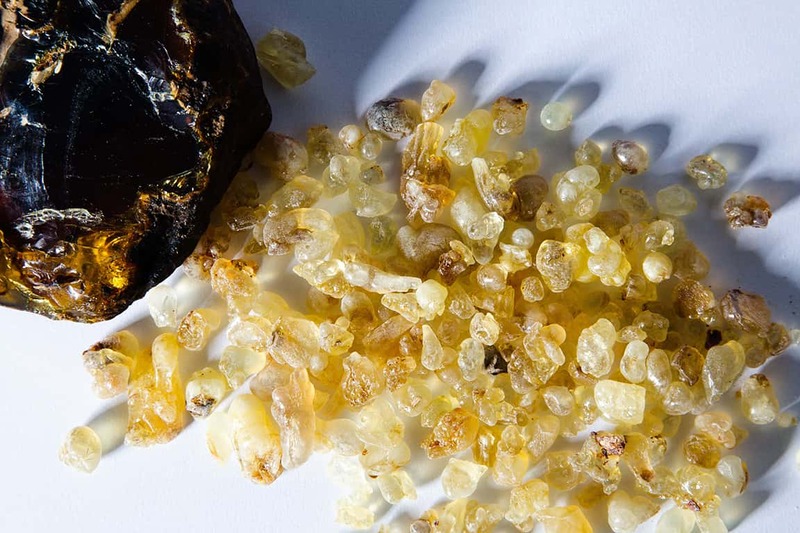 This class leads students on a journey exploring the historic lineage of Baltic Amber, offering students the opportunity to craft perfumes composed of extracts of Baltic Amber as well as amber-like balsams. Various healing balsams and fossilized amber extracts will be explored as the group creates a perfume from golden extracts of pine, cobaiba, vanilla and gurgan, poplar. All essences sustainably harvested by Jessica, or sourced from other ethical forest stewards.